When I was pregnant with Savannah, I got really nervous as to what my husband and son would eat while I was in the hospital. I knew we really didn't need to add "dining out" to our list of bills since we would be having the hospital bill, as well as new baby expenses, to take care of. I went and grabbed a few frozen dinners to have on hand for them and was super lucky when my moms group started bringing us meals to eat the first few weeks of adjustment to life with a newborn. 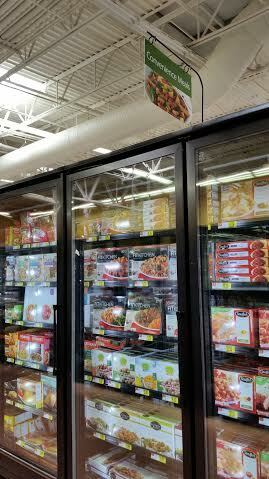 I sure do wish that STOUFFER’S ® FIT KITCHEN™ would have been on my radar then, as we have been enjoying the new dishes that are now available. Have you been to teamLab Future Park at the Mall of Georgia? 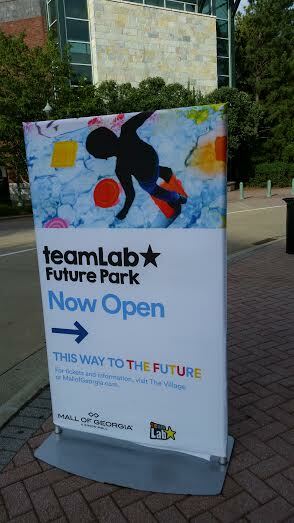 We were recently invited to go check out the TeamLab Future Park at the Mall of Georgia and we had a blast while we were there. If you are near the area, try to plan now and go check out the exhibit, as it is not a permanent one, they are set to leave on July 31st! FTC Compliant Review Policy: The product(s) featured in this review were provided free of cost to me by the manufacturer or representing PR agency for the sole purpose of product testing. Opinions expressed are my own and are NOT influenced by monetary compensation. As soon as you walk in the door of the teamLab Future Park, you realize you are in for something pretty cool. The entrance has you go behind a black out curtain, you know... sort of like what is behind the curtain for the Wizard of Oz!!! Once you head into the darkness, you are immediately in overload and want to do it all... right then!!!! !